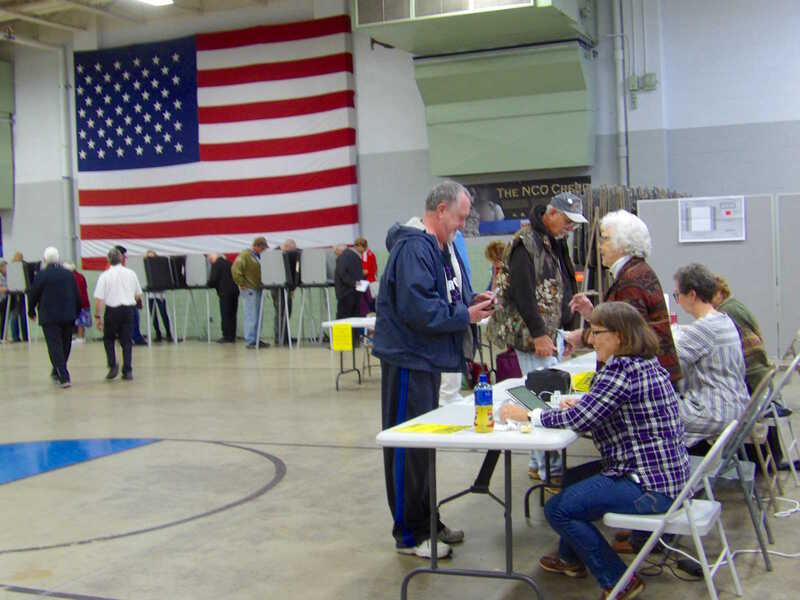 The 2018 Mid-Term Election was a busy day. 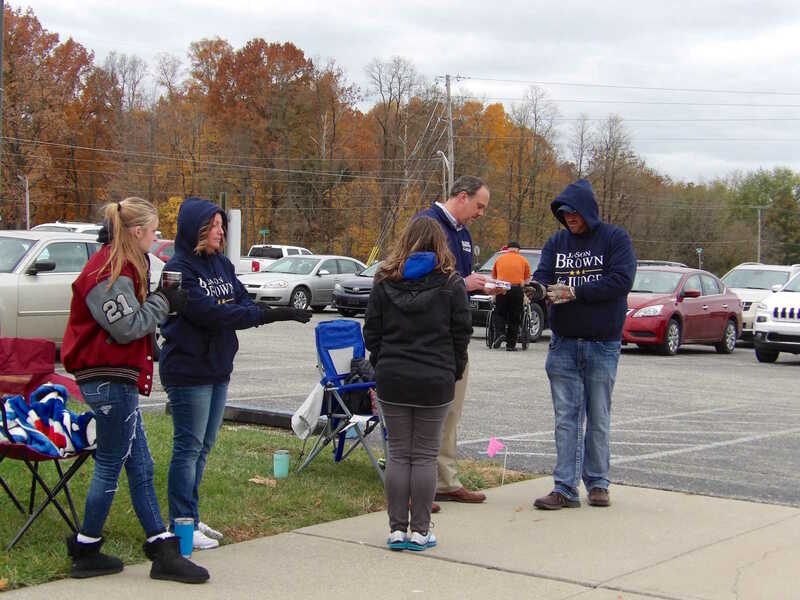 The foul weather that was expected last week didn’t show up Tuesday, but the voters turned out for the election. 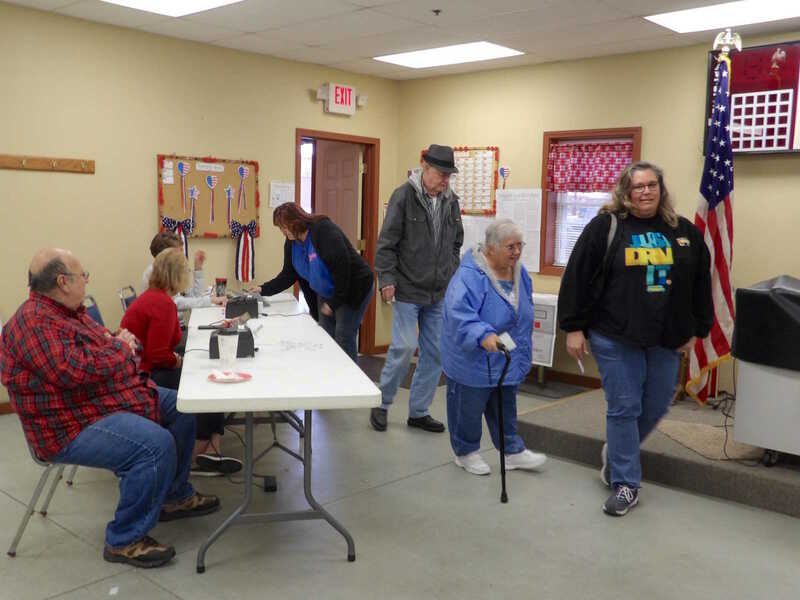 The Clay County Election Office confirmed the early voting process was busy making the 2018 election the second highest turn out reported with close to 3,300 voters casting early ballots. 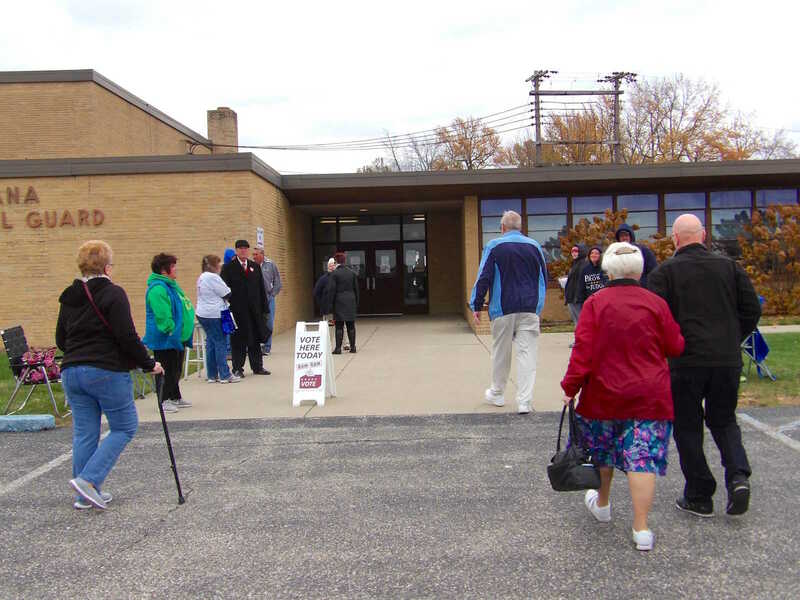 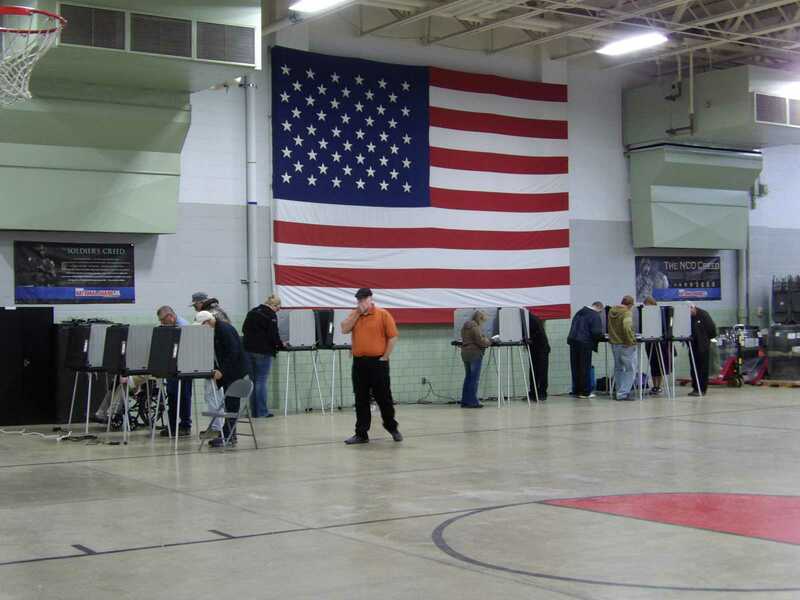 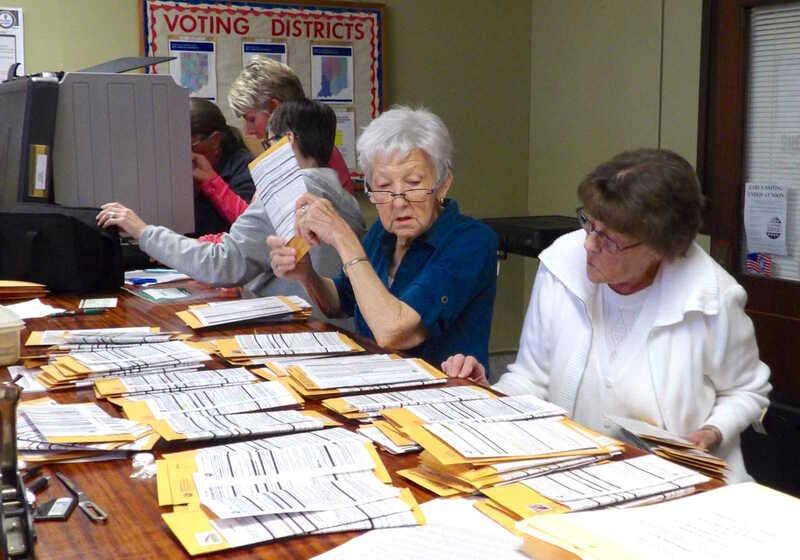 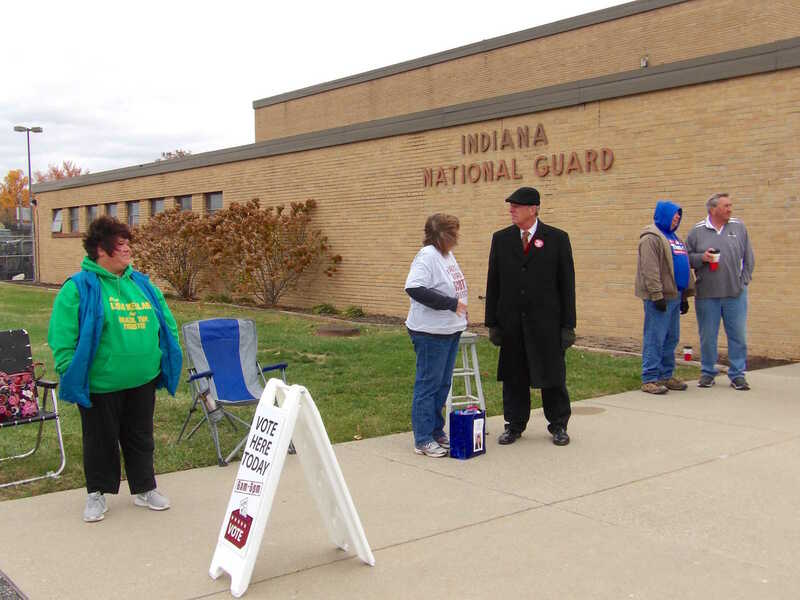 On Tuesday, Nov. 6, the eight voting centers throughout the county opened at 6 a.m. in Clay County. 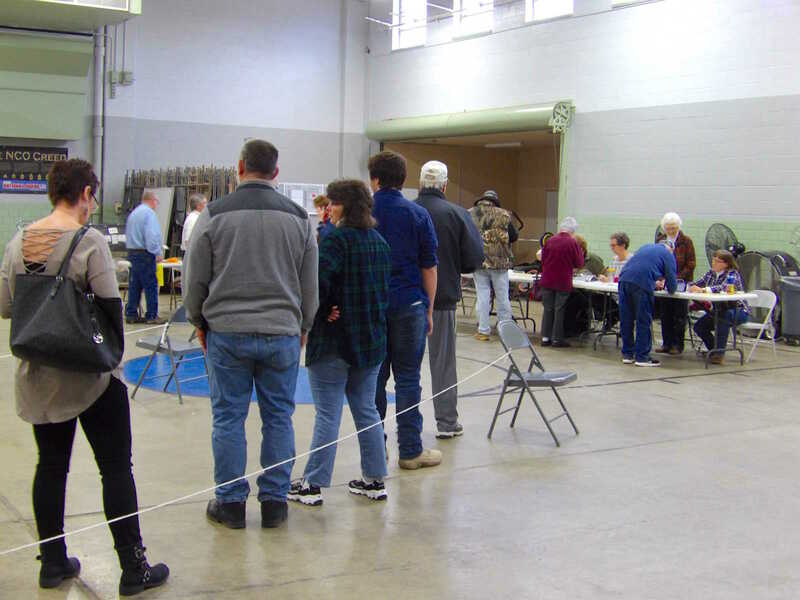 At noon, First Deputy Clerk (Elections) Jason Jacobs said no problems had been reported and the voting lines were moving quickly. 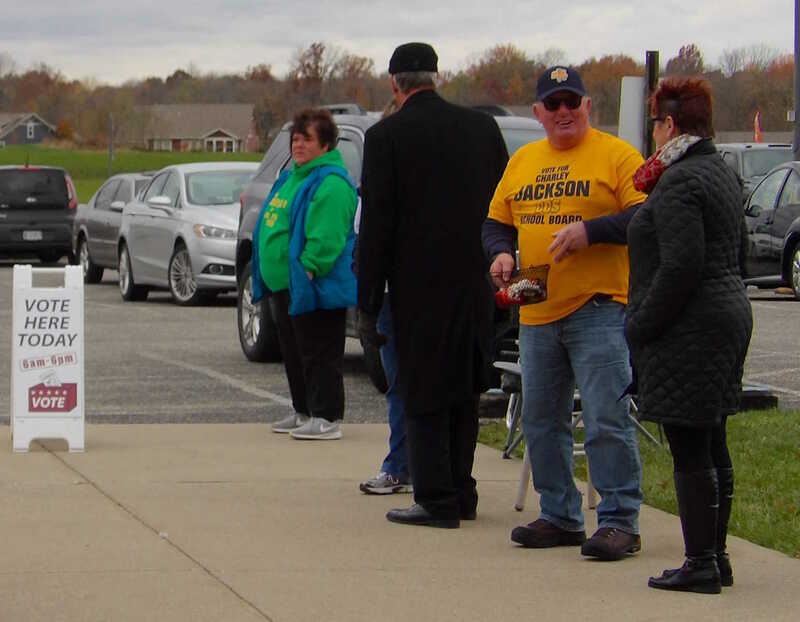 By the end of the evening, more than 9,000 voters made their voices heard in throughout the county. 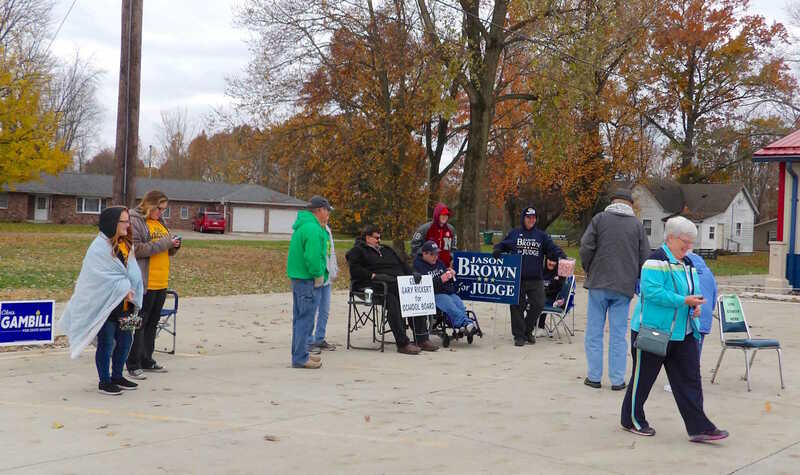 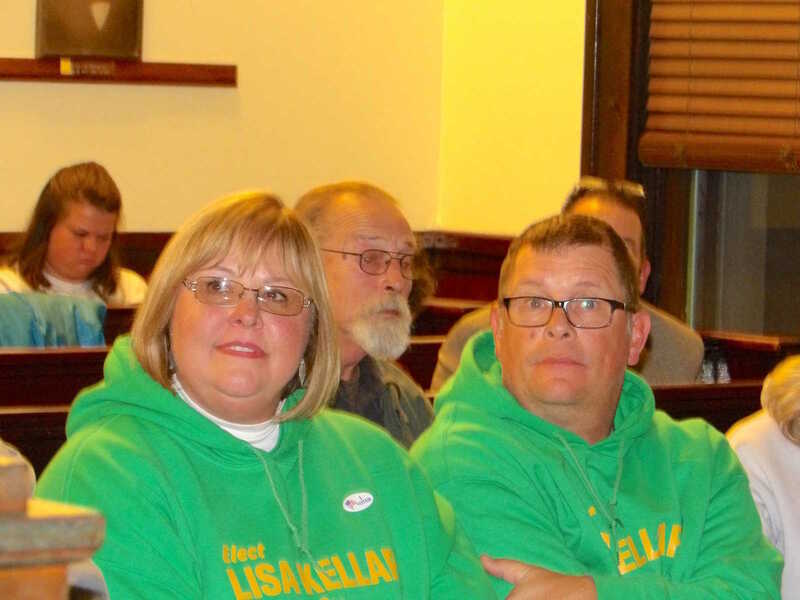 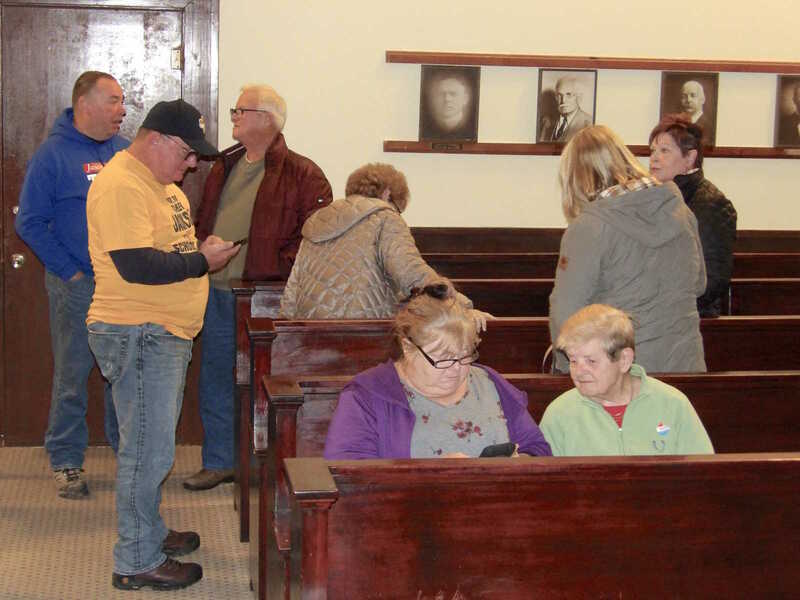 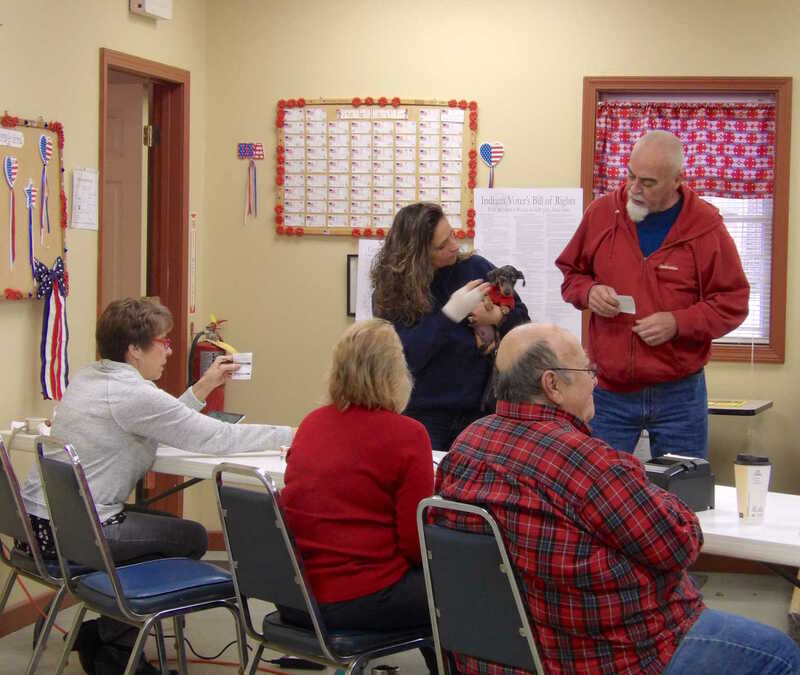 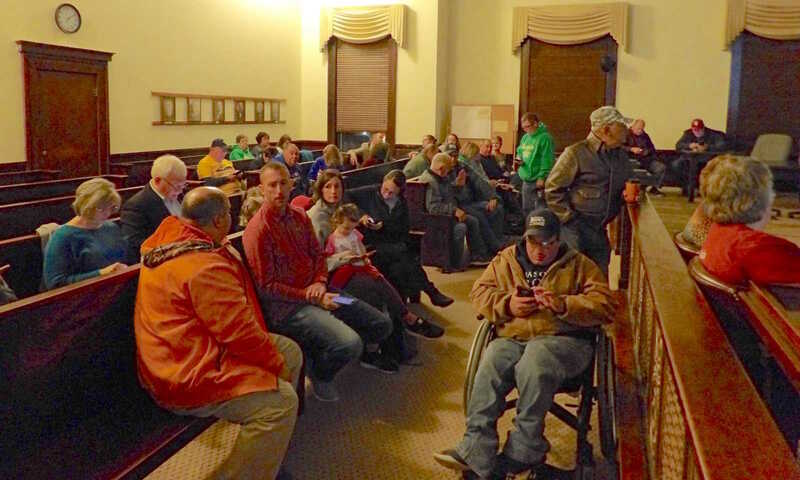 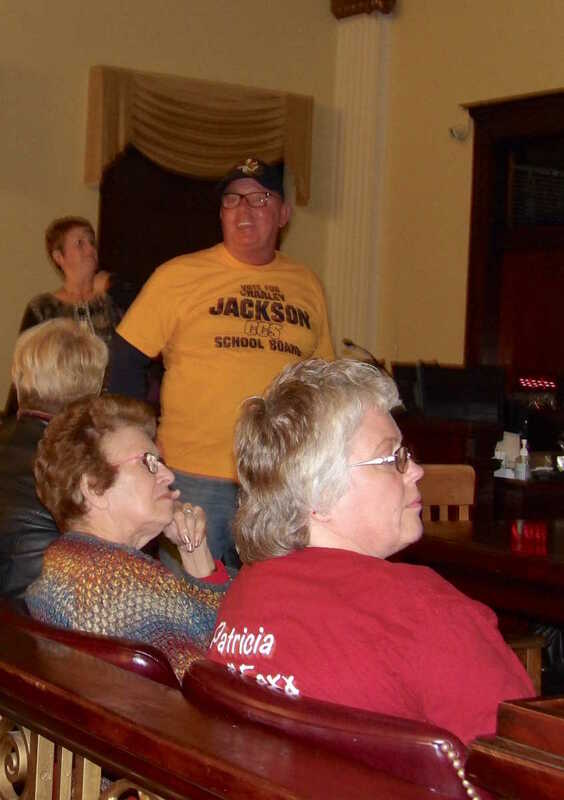 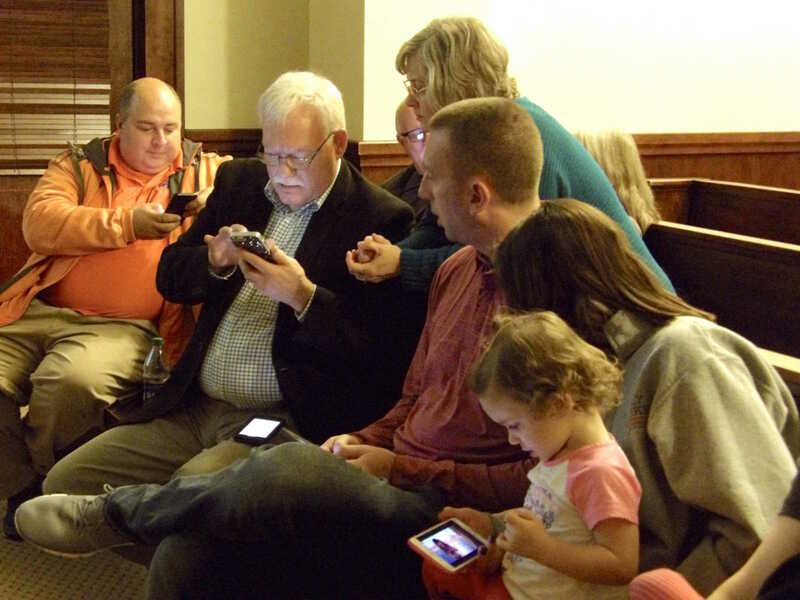 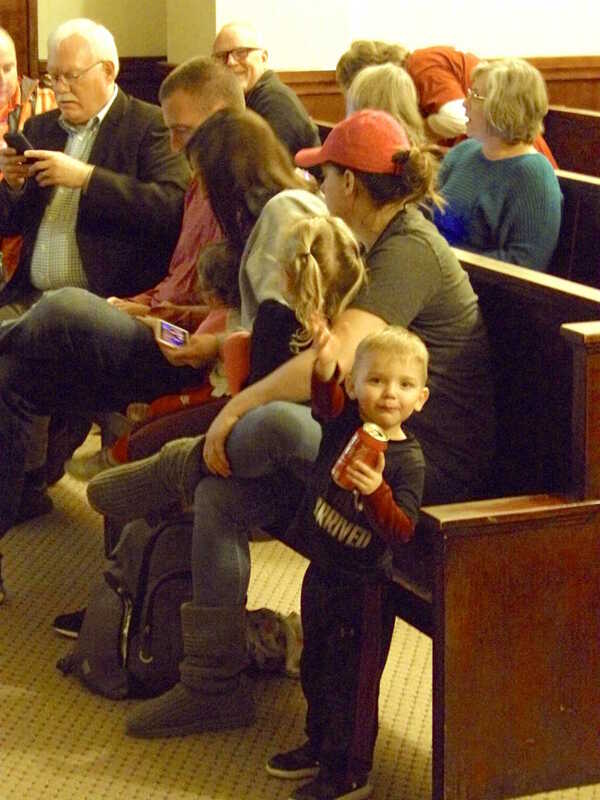 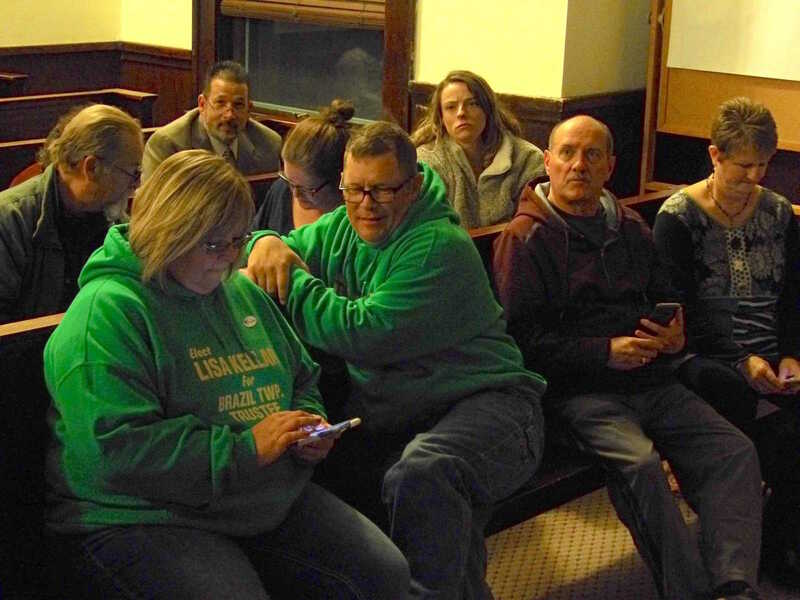 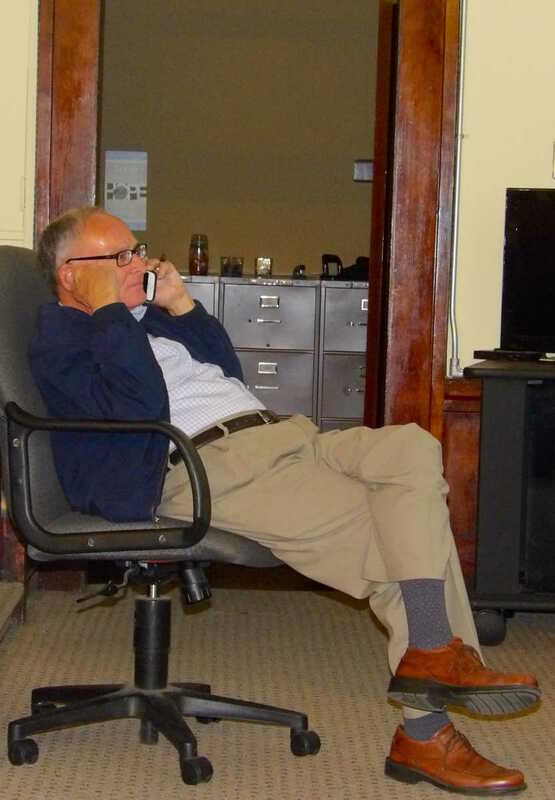 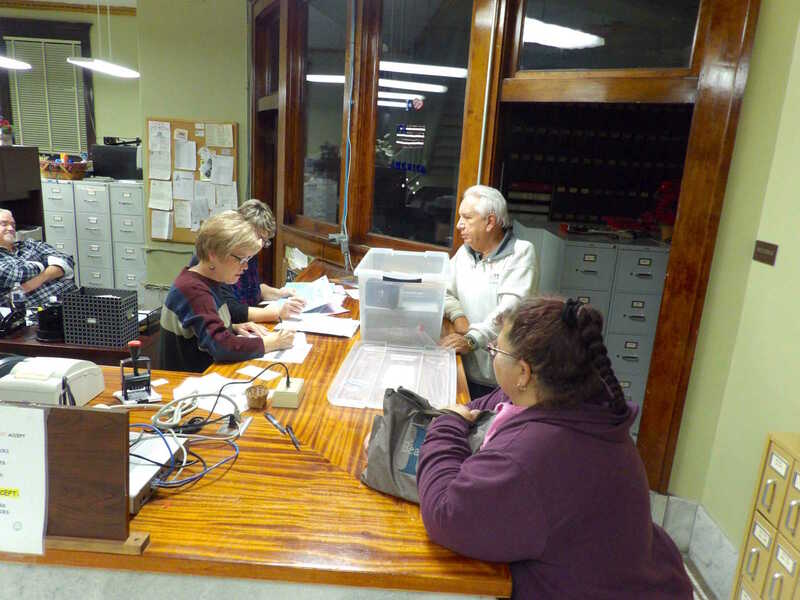 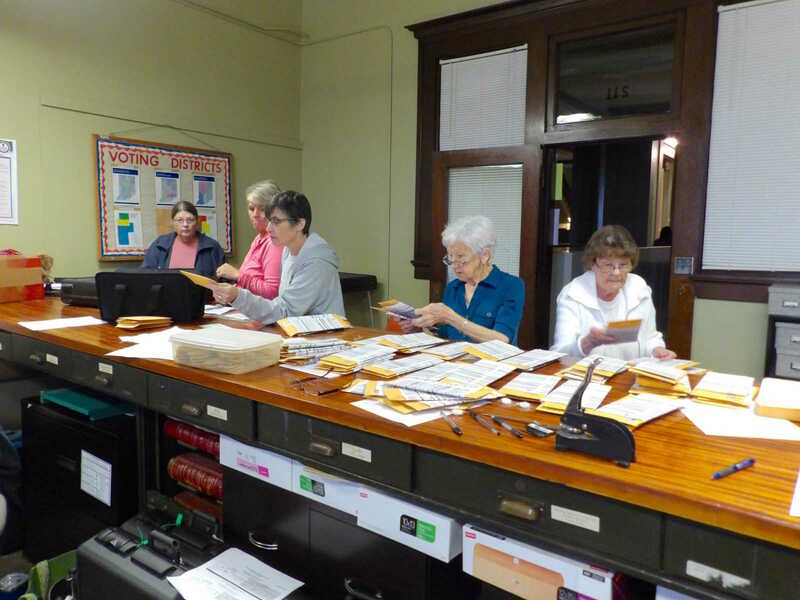 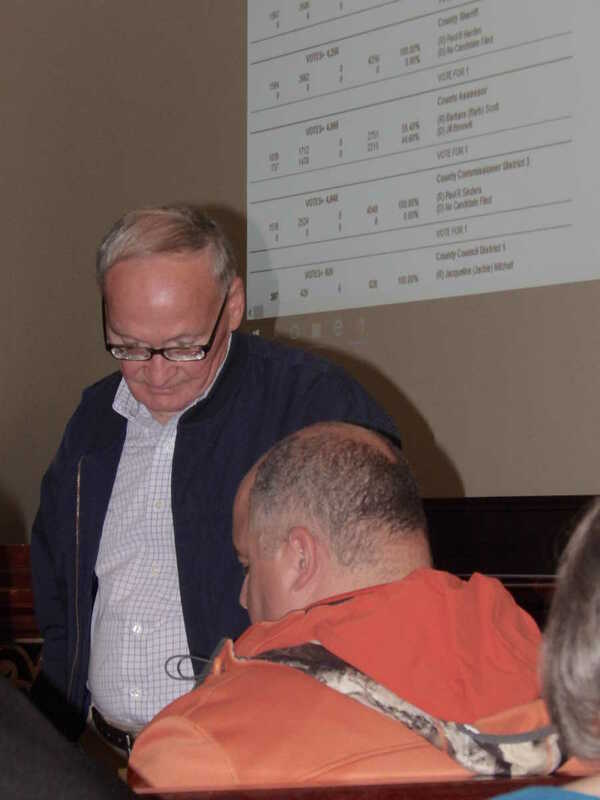 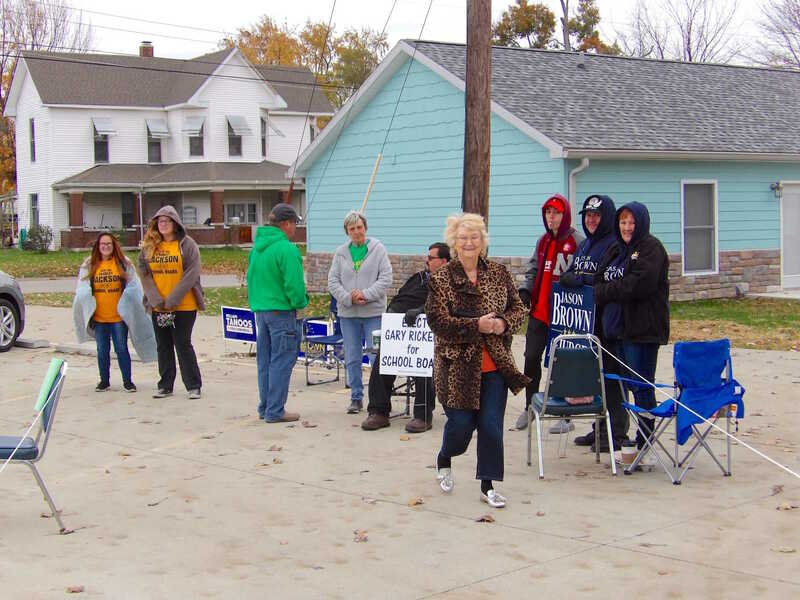 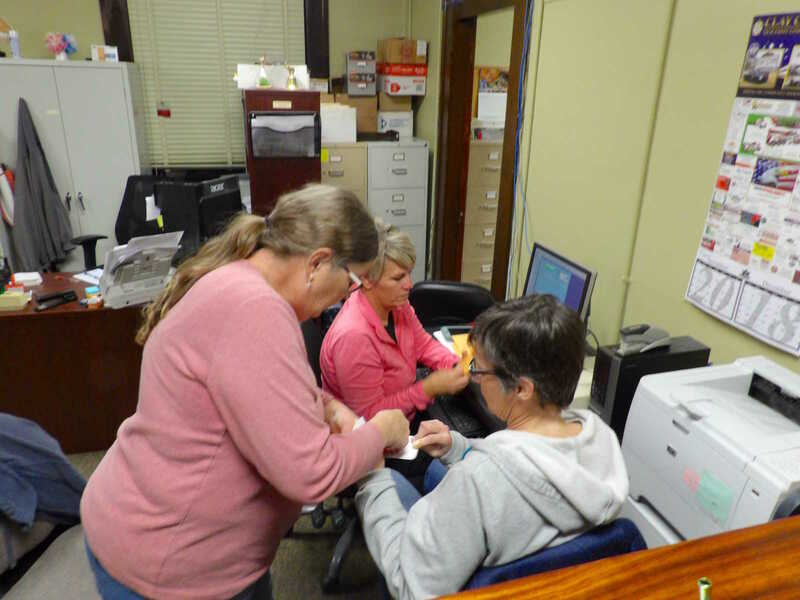 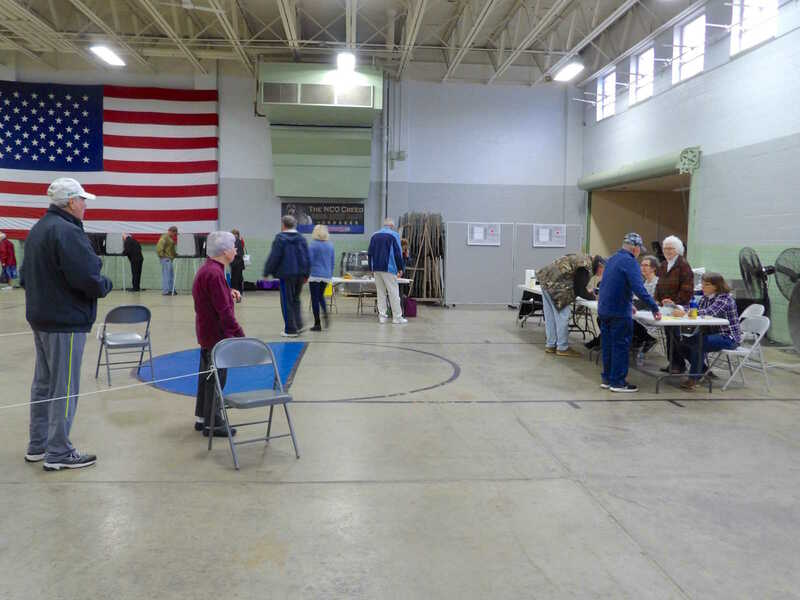 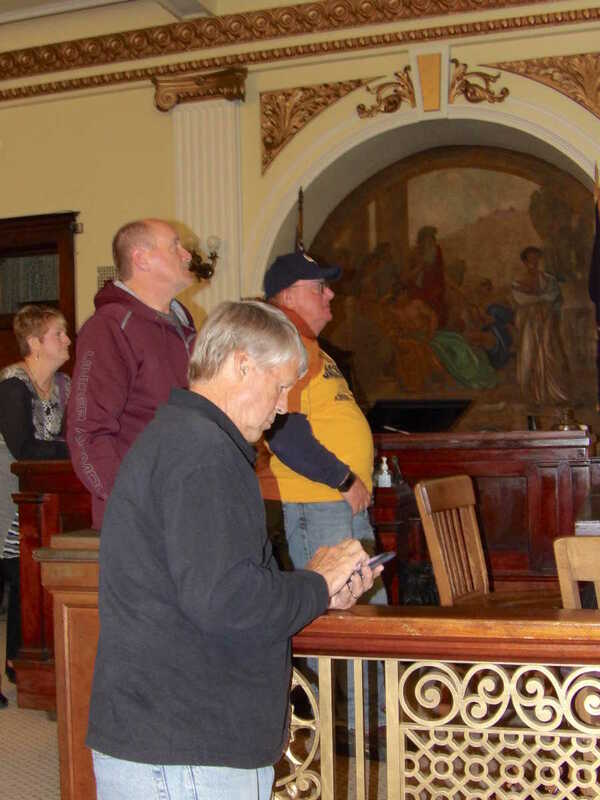 These pictures were taken by Times Reporter Ivy Jacobs as local residents went to cast their votes and gathered up at the Clay County Courthouse in the Clay Circuit Court Room as the returns came in.